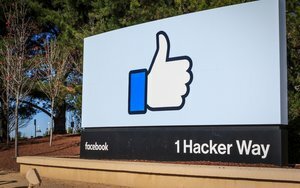 The bankrupt tech incubator Quirky, known for selling smart-home devices, has joined the roster of businesses suing Facebook for allegedly providing incorrect data about the length of time that users spent watching video ads. The lawsuit stems from last year's revelations that Facebook inflated the average time spent viewing ad clips by 60% to 80%. Facebook said in September that its mistaken calculations did not affect billing. But Quirky alleges in a class-action complaint filed Tuesday in San Francisco federal court that Facebook's "misrepresentations" about video ad metrics induced marketers "to pay more for Facebook video advertising than they otherwise would have been willing to pay." Quirky adds that Facebook’s statements about video metrics gave it "an unfair competitive advantage over other online video advertising platforms, such as YouTube, LinkedIn, and Twitter," and also interfered with advertisers' attempts "to utilize Facebook’s video advertising analytics, and to run effective video advertising campaigns." Quirky alleges that Facebook's representations amount to a fraudulent practice under California law. "The calculation errors ... were obvious errors that would have been discovered by a reasonable auditing and verification process," Quirky argues. "Facebook’s failure to employ reasonable auditing and verification procedures gave it an unfair competitive advantage, as it allowed Facebook to provide video-advertising services at a lower cost and made those advertising services appear to be more effective than they were." Facebook is already facing a separate class-action complaint, filed in October, over the inflated metrics. That earlier case, which alleges that Facebook violated various laws, was filed in October on behalf of three marketers -- Tom Letizia, Mark Fierro and Greg Agustin. Last month, several additional marketers, including the Nevada-based Abbi Agency, joined in that complaint.